Join us for a webinar focused on answering YOUR questions about self-directed retirement accounts. We'll have a brief overview of self-direction and then we'll answer all your questions. You can now send us your questions in advance. When you register for the webinar simply type your questions in the Questions & Comments box. We'll answer all the questions we receive in advance and any asked during the live webinar. You can learn more about the types of investments that are available with a self-directed account, how the setup of your account is completed and how you go about making an investment. You'll also learn some sophisticated ways of maximizing your flexibility with an STC account. Now's your opportunity to learn how you can best utilize a self-directed retirement account with STC to grow your retirement wealth. Are you interested in a self-directed retirement account but you wonder what kind of 'due diligence' you should do to select an investing partner? We understand that your retirement funds are an important asset and that you want to work with the very best company for your needs. Join us for this webinar and learn some of the questions to ask when choosing the right partner for you and your future! Join STC and our guest speaker, Peter Giardini, real estate investor and coach, for this timely topic! Join STC and our guest speaker, Nicheole Amundsen, as she shares investment opportunities for retirement account owners with small account balances. You'll learn the basics of self-directed retirement accounts and Ms. Amundsen will discuss both ownership and notes in mobile home investing. Guest speaker, Jim Eshleman, of Strategic Endeavors, shares information on investing in privately held businesses. You'll learn the basics of self-directing your retirement account and understand the value of using an LLC structure for your retirement investing. Mr. Eshleman will discuss why you might want to consider investing in a business, terms of the trade, finding opportunities, the buying process and he'll also share a case study. An informative joint webinar with our 1031 Exchange guest speaker, James Brennan. Mr.Brennan discusses 1031 Exchange basics, tax and non-tax motivations, replacement property, and how self-directed funding sources can be used in these transactions. Join STC and Barbara Klaput of Renaissance Enterprises to learn how you can use foreclosure investments to grow your retirement wealth. Join STC and short sale expert Barbara Klaput of Renaissance Enterprises to learn how you can use short sale investments to grow your retirement account. Ms. Klaput will discuss the five most common mistakes investors make with regard to short sales. Then she will explain how to use that information to your advantage and build your retirement portfolio with short sale investments. You might be interested in our cooperative business development program. We are looking for professionals who understand the value of STC's self-directed retirement plan services and who would like to work with us to create mutual business growth. Would you like to learn the basics of self-directed retirement accounts? 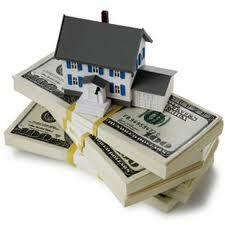 Would you like to understand how to finance a real estate purchase in your retirement account? Then you'll want to listen to this webinar! Learn the dos and don'ts of self-directed accounts & the value of an IRA LLC while learning the basics of investing in real estate backed mortgages with your IRA. Specific types of loans will be discussed along with ways to protect yourself when investing. Learn how you can increase your retirement wealth by investing in tax liens through a self-directed IRA.